Singapore’s Infocomm Media Development Authority (IMDA) is launching a blockchain challenge that will reward successful projects with funding. 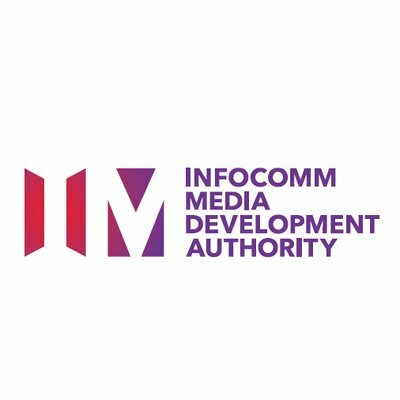 The IMDA is a statutory board of the Singapore government under the Ministry of Communications and Information (MCI). IMDA regulates the telecommunications and media sectors to safeguard consumer interests while fostering a pro-business environment. The UK Financial Conduct Authority (FCA) has issued a statement warning UK citizens about an unregistered brokerage dealer that was allegedly offering cryptocurrency derivative products. According to the patent, the intended utility of the new technology is the alleviation of traffic congestion through communication between vehicles to facilitate the cooperative coordination of “platoons” of vehicles. Quantm Real Estate is a network for a membership-based real estate marketplace built on blockchain technology that facilitates the primary issuance and secondary trading of investment tokens backed by fractional equity interests in single-family residences. The QuantmRE Network buys a small part of its members’ home equity in a shared equity transaction. Millennium BlockChain Inc. has added Clifford Sarkin to its board of advisors. Millennium BlockChain is a holding company primarily focused on blockchain technologies and crypto-assets in financial markets, healthcare, crypto-mining and high technology sectors. Nervous times for cryptocurrency investors today, as the markets took a sharp turn downward after several days in a narrow range. As of mid-morning, bitcoin was at $7,500 per single coin, near its low point of the year. The Bank of England (BoE), the UK’s central bank, has announced that it is testing blockchain features for a new Real Time Gross Settlement (RTGS) service. Blockchain solutions provider Ripple has donated $29 million in XRP to a crowdfunding organization dedicated to the American public school system. At the present exchange rate, the donation equals just over 50 million XRP. South Korean cryptocurrency exchange Upbit has launched a program to reward users for identifying fraudulent multi-level cryptocurrency schemes and initial coin offerings (ICO). Upbit, which is backed by South Korean chat giant Kakao, said that the number of illegal multi-level and Ponzi fraud cases has been increasing and its new system will attempt to “prevent damage due to fraud.” It is encouraging its users to participate in the new reward program in order to create a sound cryptocurrency ecosystem.